Anna Sandiford has written before about how she uses pollen in her forensic science work after watching an episode of ‘Bones’. Pollen also offers a world of other exciting opportunities – from searching for oil or preventing ‘honey fraud’, to tracking goods or fighting the war on drugs. As a palynologist (pollen scientist) I started my career reconstructing ancient climates on Chatham Island, but soon found that pollen could do more than tell us what type of plants were around at a particular time. Its power lies in its diversity and robustness. There is amazing variety in the size and shape of pollen, so a single pollen grain can be identified by what plant produced it. Pollen is also extremely robust, capable of surviving extremes of temperature, pressure and pH. So it ‘hangs around’ for quite a long time under the right conditions. These properties can be harnessed in a number of useful ways. For example, the oil industry uses pollen in exploration, where pollen provides the age of rock samples from test wells, via a technique known as biostratigraphy. Pollen types from long-extinct plants have very well defined ‘lifetimes’, thus they can be used to give an age of the sediments they occur in. This is important for mapping oil reservoirs, as the oil-bearing rocks in a given area typically fall within a ‘narrow’ timeframe. Pollen acts as a key tool for product quality control – very important for honey types whichcommand premium prices, and for preventing ‘honey fraud’. A single teaspoon of honey will potentially contain up to 500,000 grains of pollen. Counting and identifying the pollen indicates the nectar source(s) of the honey. I now regularly perform honey pollen analyses for apiarists who are either interested in where their bees have been or require floral analysis to export their honey to overseas markets. Here in New Zealand, issues over Manuka honey mislabeling are casting a shadow over our honey export business. 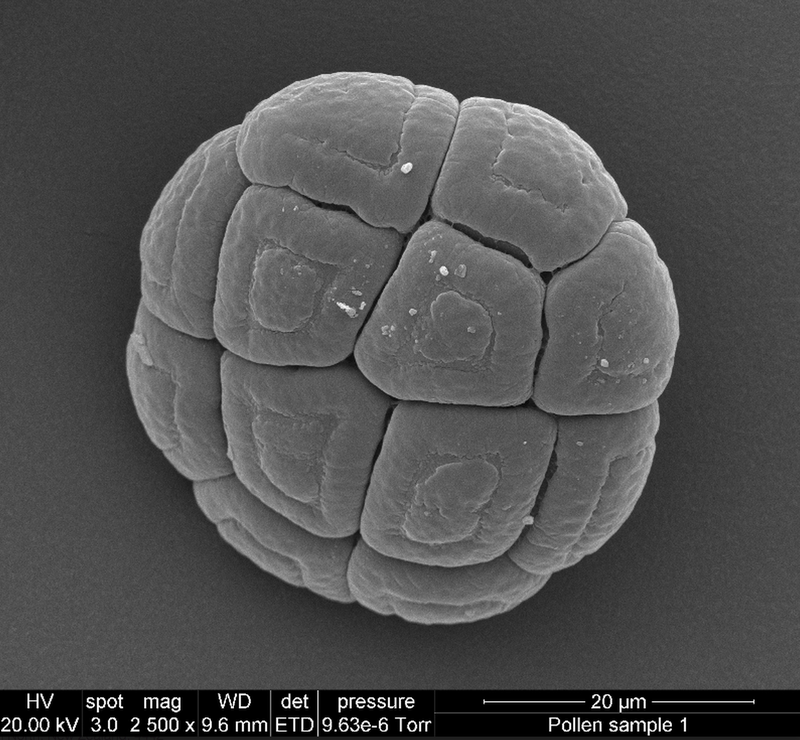 I have found myself contributing in this sphere too, by differentiating between pollen of Manuka and the very closely related Kanuka in New Zealand honey samples. This same tracking concept is also applied at borders to track both people and goods. To avoid paying full import tariffs, shipments of goods are often routed through one or more other countries where import tariffs may be lower. 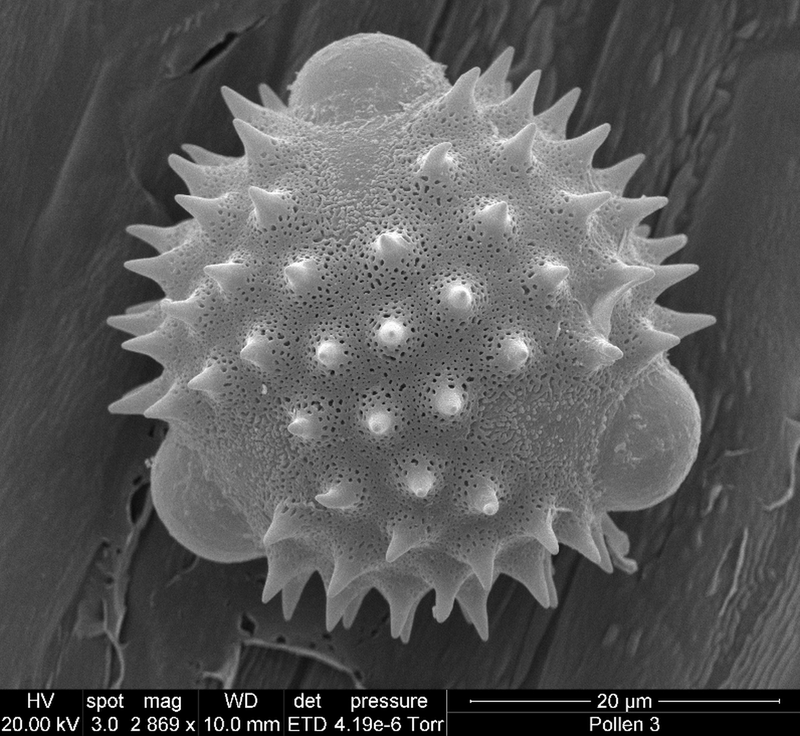 Pollen can potentially overcome this, in that the assortment of pollen types obtained off goods that originated from say China, would be very different from that collected from an Italian shipment. The US Department of Homeland Security are currently investigating the feasibility of using pollen in this way to combat the war on drugs. They are working out where intercepted drug shipments came from and then linking traffickers to drug shipments. With all these uses, I wouldn’t be surprised if we see pollen analysis popping up on more TV shows than just Bones. Maybe we’ll see it Border Security or even in upcoming Breaking Bad spin-off? Dr Katherine Holt is a lecturer in physical geography in the Institute of Agriculture and Envrionment at Massey University. Her main research interests are the palynology and geology of the Chatham Islands, and the wider New Zealand region. She is also involved in testing and development of automated systems for the counting and classification of pollen. Lagerstrom, R. Holt., K.A., Arzhaeva, Y., Lovell, D., Bischof, L., (in press). Pollen Image Classification Using the Classifynder System: Algorithm Comparison and a Case Study on New Zealand Honey. In: Sun, C., Bednarz, T., Pham, T.D., Vallotton, P., Wang, D. (eds) Signal and Image Analysis for Biomedical and Life Sciences. Springer. I’d love to think that pollen would be used more often at crime scenes. The problem is perception of the cost of collection, processing and interpretation. Plus scene examiners need training in how to collect samples – an on-call palynologist is an expensive luxury that police forces just can’t afford unfortunately. Plus there are very few forensic palynologists who can undertake the work for either the prosecution or the defence. The private sector is far more likely to be willing to pay for it. Let me know if you need a hand educating the investigation sector in the investigative value and the actual cost of sample processing!